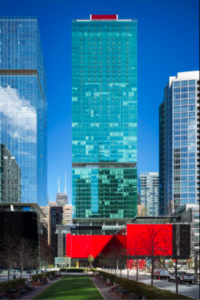 Nearing the one year anniversary of it’s grand opening, Optima Signature continues to be a sure standout in the near Streeterville neighborhood. 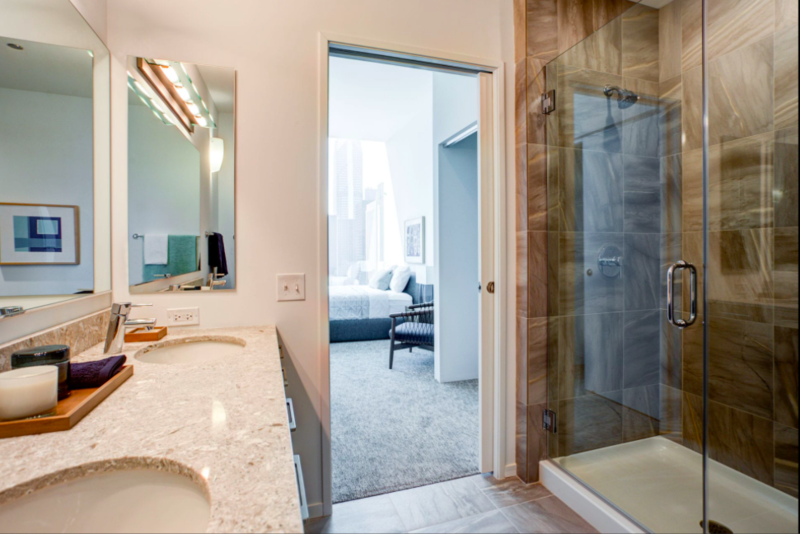 The 57-story tower reflects luxury from the inside out with its exquisite glassy exterior to the high-end, ultra-modern perfectly tailored interiors. Waiting inside your new home is the comfort and opulence any urban dweller desires. 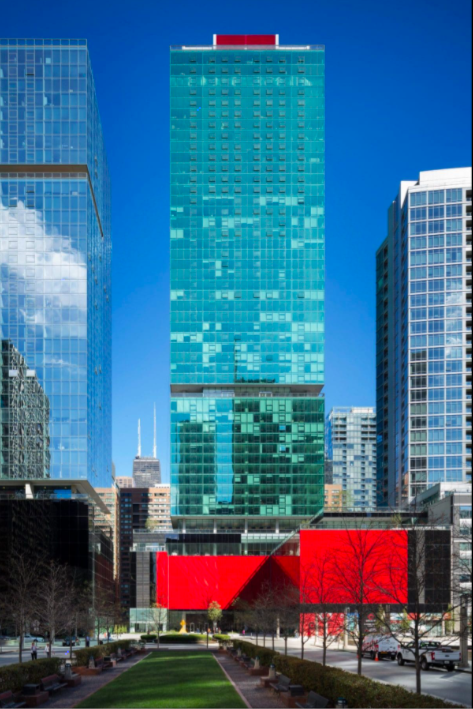 Sweeping city views are on display with floor-to-ceiling windows in every unit. Balterio wide-plank hardwood flooring throughout adds warmth and the ultimate design canvas to reflect your personal style. In the kitchen, the ultimate chef’s kitchen is available for anyone to enjoy. 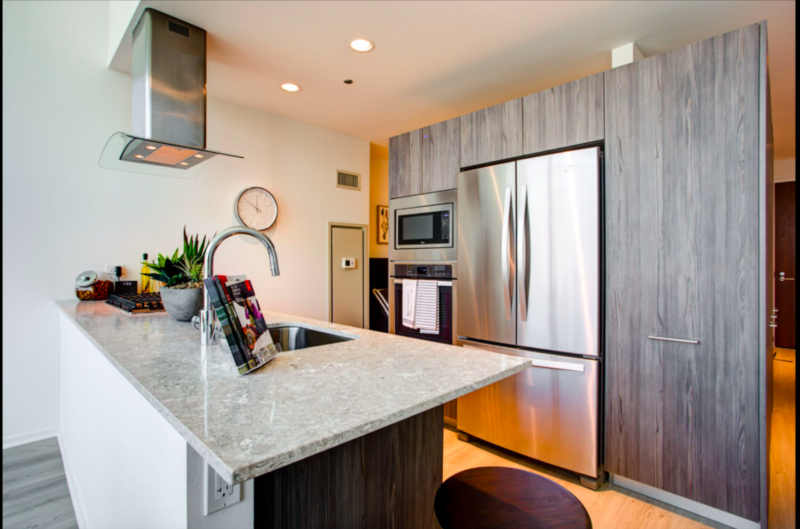 Pristine quartz countertops and Snaidero cabinetry matched with built-in stainless steel appliances reflect luxury at its finest. There are even select units that feature wine refrigerators as well! 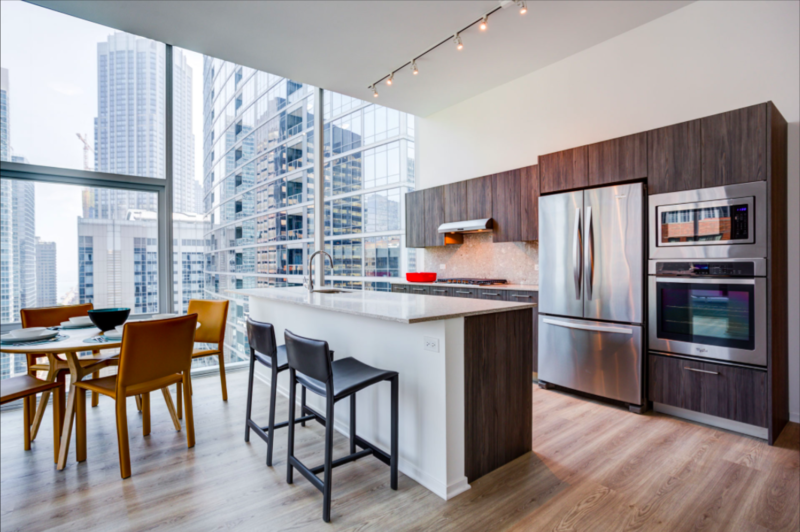 Though luxury comes standard at Optima Signature, the Apex (penthouse) units feature an added dose. Contemporary kitchens feature condo-grade finishes from the countertops to cabinetry, with wine refrigerators and integrated appliances. 10 -foot ceilings add dimension and space to an already spectacular home. All closets come completely built-in with shelving and an integrated shoe rack in the master bedrooms. Optima Signature offers amenities galore, with resort-style luxuries, such as multiple indoor and outdoor whirlpool spas, a sundeck terrace with several fire pit lounges, cabanas, indoor and outdoor sauna and stream rooms, a playground, media entertainment center, a library, and both indoor and outdoor swimming pools. Outdoor private dining areas with grills and coolers are also a great option for entertainment. Enjoy the luxury of working out from home in the cutting-edge fitness center with WELLBEATS virtual workout studio or the tranquil yoga studio to add some zen to busy days. 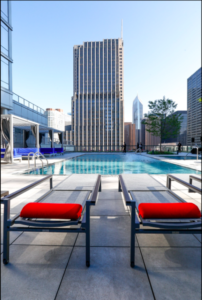 Take a post-workout cold plunge in the locker room or relax in one of several fitness center level lounge spaces. 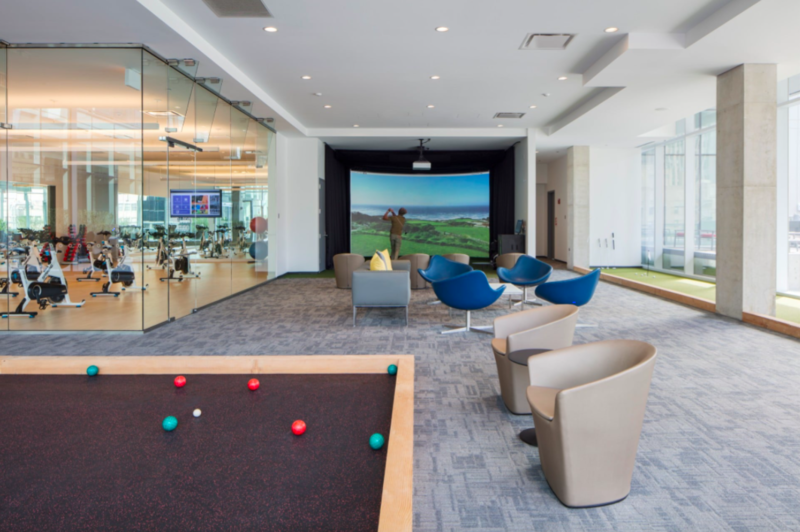 For more athletic space, be sure to check out the indoor golf simulator for when the weather is not up to par or the putting green. The indoor basketball, racket ball, and bocce ball courts add tons of activity space for you to enjoy. 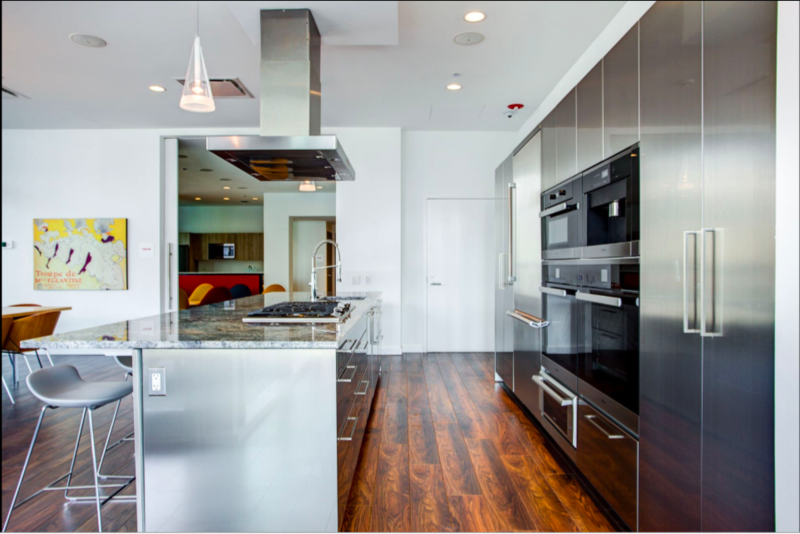 A spacious party room and large demonstration kitchen offers multiple spaces to entertain. Entertainment is accessible in the on-site theatre room as well. 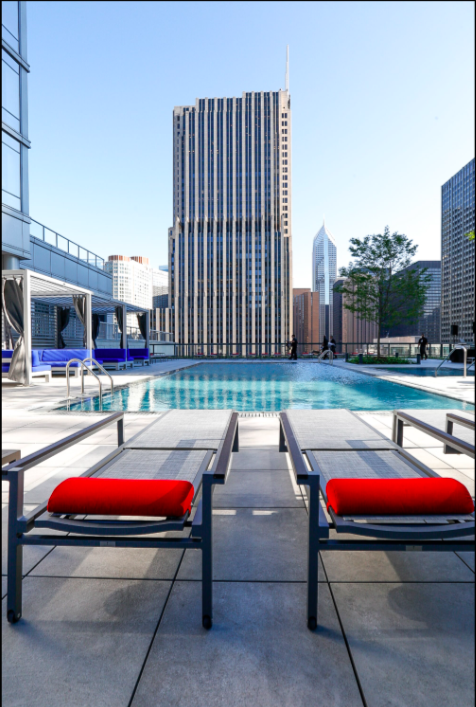 Check out Club 52 – the penthouse level rooftop terrace offering wine lockers and lounges. Last, but certainly not least, Optima Signature offers direct, indoor access to the adjacent Whole Foods grocery store! Looking for luxury apartments near Streeterville? Contact us today! We’d be happy to keep you in the Loop!